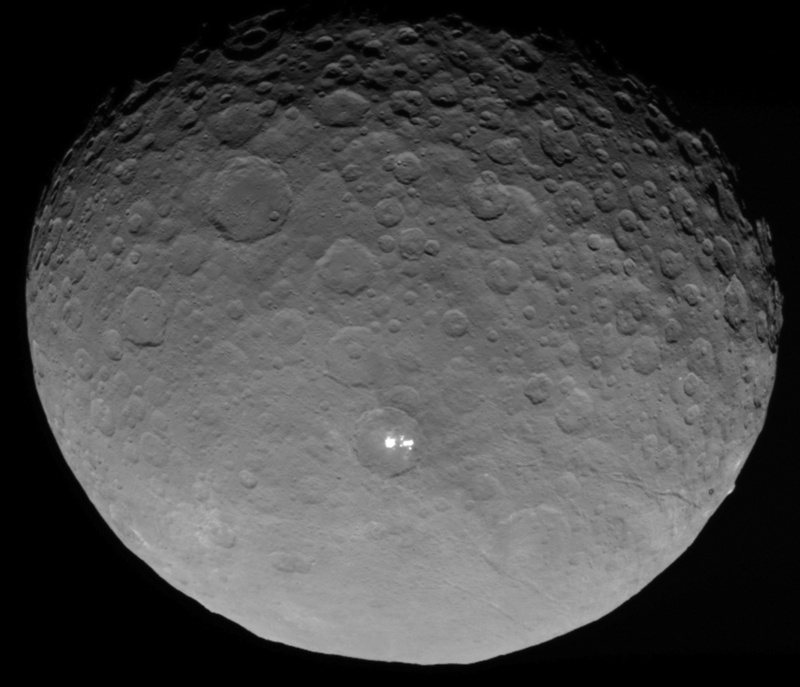 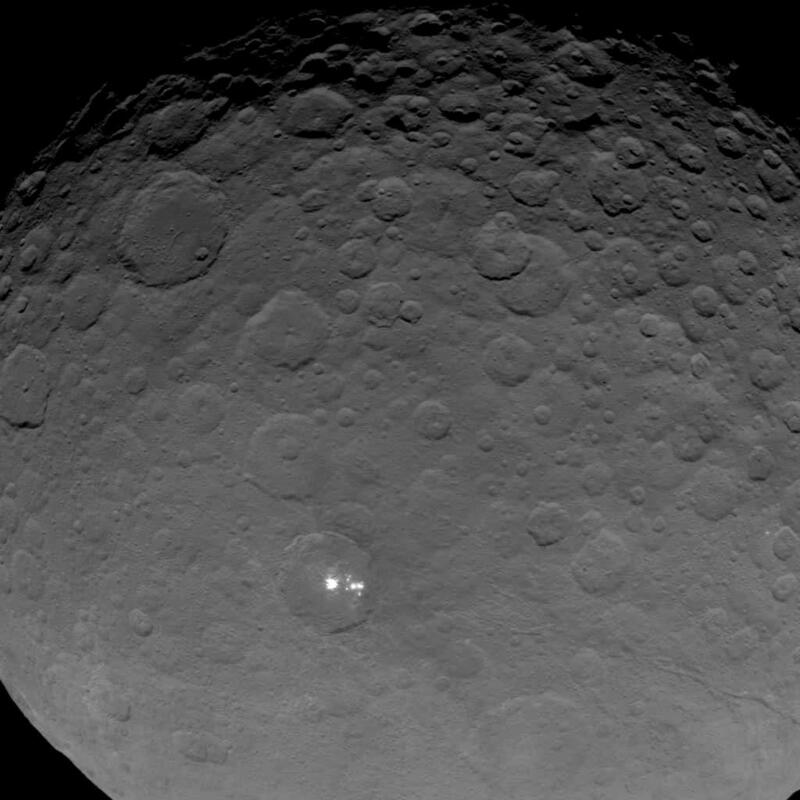 There now might be a definitive answer to a puzzle which has intrigued both scientists and the public for some time: What are those odd bright spots on the dwarf planet Ceres? 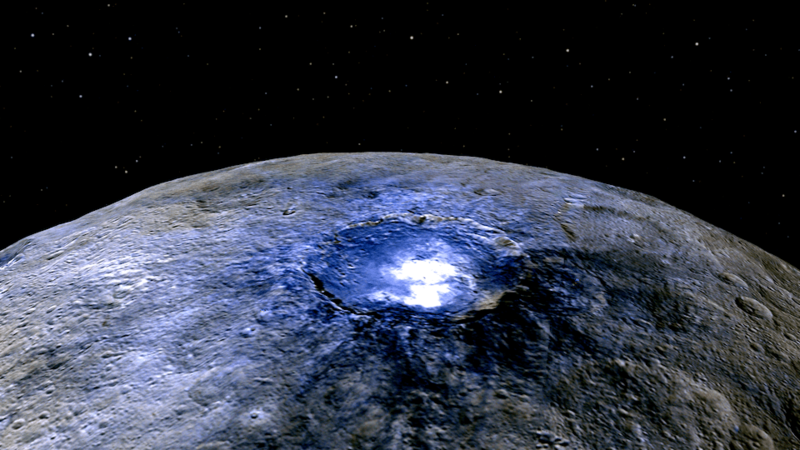 A new study suggests they are a type of salt, originating from a subsurface layer of briny water-ice. 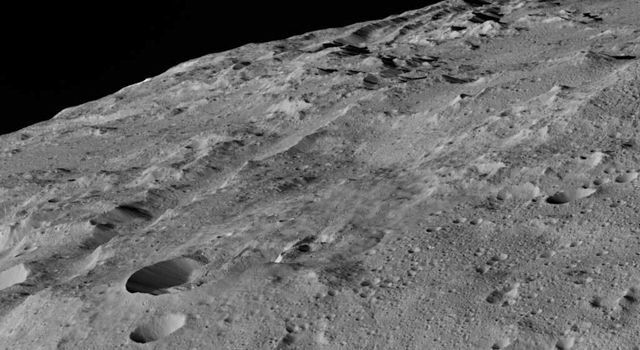 Another study points to the existence of ammonia-rich clays on Ceres. 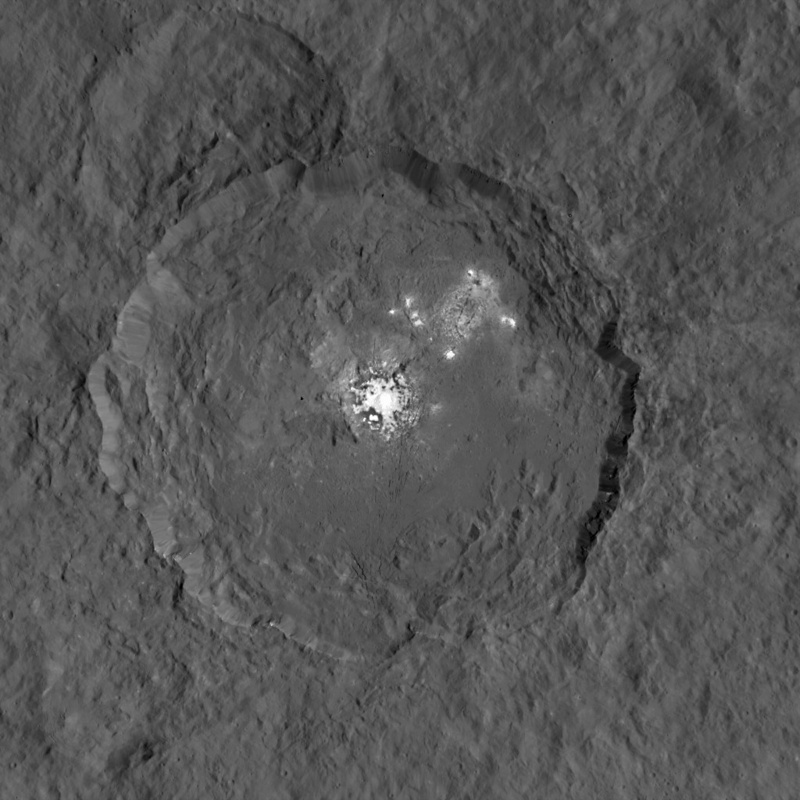 Some new views of Ceres were released today from the Dawn spacecraft, which include the now-famous mystery bright spots, as well as some new spots not seen before. 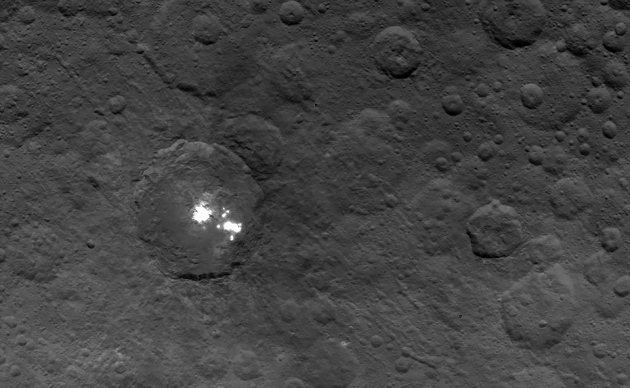 The most prominent “double spot” as previously viewed, can now be seen to be multiple spots of various sizes.